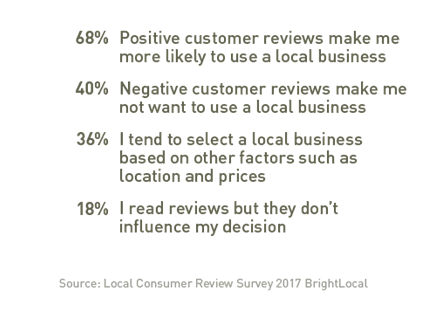 BrightLocal’s 2017 Local Consumer Review Survey detailed that an overwhelming amount of consumers (97%) read online reviews for local businesses in 2017. 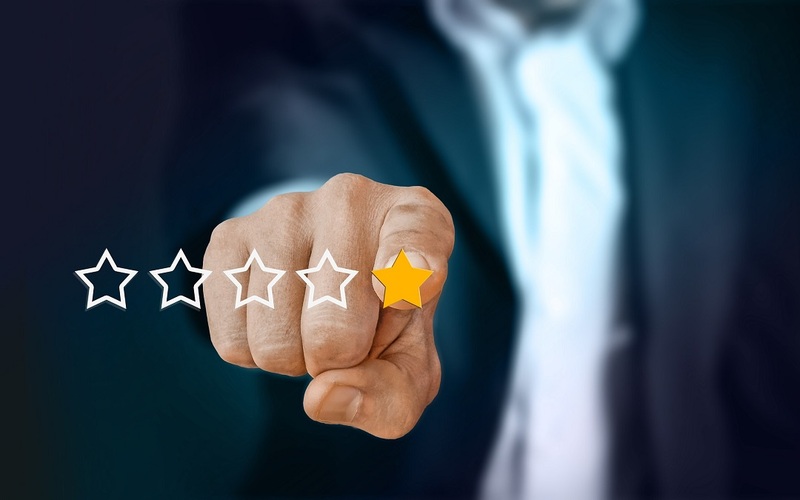 Which begs the question for small businesses: How important are online reviews, and how much do they impact a consumer’s purchasing journey? Not only can positive reviews help build trust with potential customers, but they can increase your web visibility and search ranking. Additionally, in 2017, Small Business Trends reported that positive comments from customers or clients produce an average increase in sales of 18% and that consumers are likely to spend 31% more because of positive reviews. Consumers are looking at reviews at a rapid pace, and 85% are beginning to trust them as much as personal recommendations. Reviews, both positive and negative, are beginning to have a significant impact on whether or not consumers will use a local business. As seen in the chart below, 68% of consumers say that positive reviews make them more likely to trust a business. In turn, 40% say that negative customer reviews make them not want to use a local business. 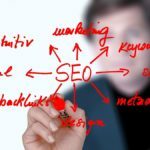 It’s important for your small business to acquire positive reviews in order to both gain new customers, as well as help drive their search traffic. Positive reviews also help build trust with your customer base, and provides a platform for your customers to have a voice. They also help solidify your reputation within your respective market, and build loyalty to your brand. 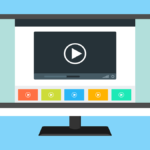 As consumers become more engaged with online research prior to purchase, it’s important for you to prepare for this change.